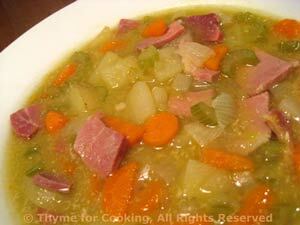 Split Pea Soup, Thyme for Cooking seasonal soups. Peel carrots. Slice by cutting in half the long way (in 2 or more sections) then into half circles. Add to pot.